Comes with your choice of non-removable wire shelves for one-way use or repositionable plastic shelves for round-trip use at same price (please specify choice below). Shelves shown in photo are plastic shelves; shelves shown positioned to collect dirty linen. Wire shelves are non-removable. 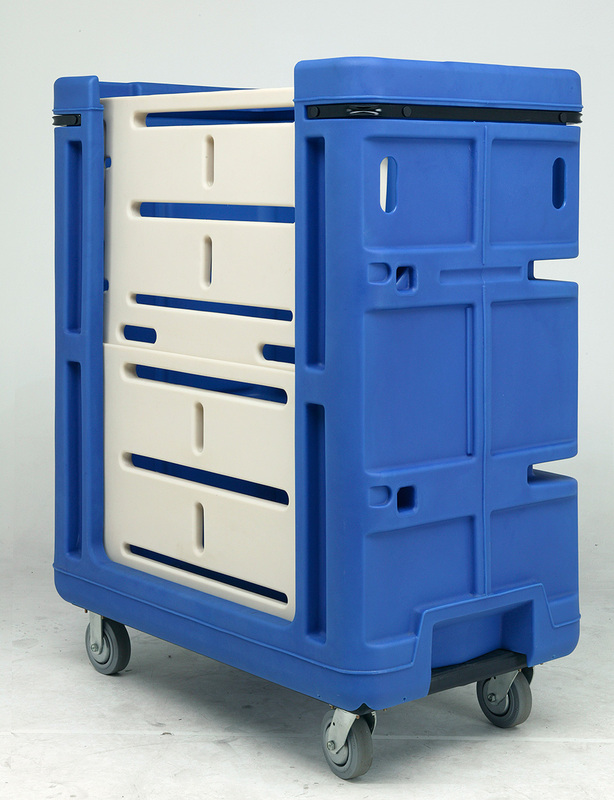 Choice of type of base for delivery cart, same price (please specify choice below). Many colors to choose from. Comes with 6″ casters in your choice of arrangement.